BRAND NEW THREE-DISC EDITION OF CLASSIC LIVE PERFORMANCES BY THE ENID! • BRAND NEW THREE-DISC EDITION OF CLASSIC LIVE PERFORMANCES BY THE ENID! • The Enid are a British progressive rock band formed in 1974 by ex-Barclay James Harvest keyboard player Robert John Godfrey. • Something Wicked This Way Comes, the band’s fifth album (1983) was the first Enid album to feature vocals, and this live collection was captured during the period following its release. • The band then consisted of Godfrey (keyboards), Steve Stewart (guitars, bass), Chris North (drums, percussion) and Glen Tollet (bass, keyboards, tuba). • Claret Hall Farm was a camping weekend for members of the Enid fan club – The Stand. Held at the band’s home, the weekend and performances were essentially a party to show appreciation for the fan’s loyalty over the years. The second concert recording here was shot at the last-ever festival of its kind to be held on ancient site Stonehenge. The live show at demonstrates The Enid’s fine musicianship and originality and also gives a candid insight into Robert John Godfrey’s crucial yet uncompromising philosophy. 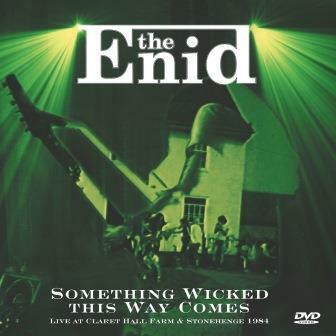 • The DVD Something Wicked This Way Comes – Live at Claret Hall Farm / Stonehenge 84 was originally released in 2004. It has now been freshly redesigned. And for the very first time, the audio-visual is accompanied by comes along a double audio CD, offering each live performance, suitably edited to present the music in its own right. 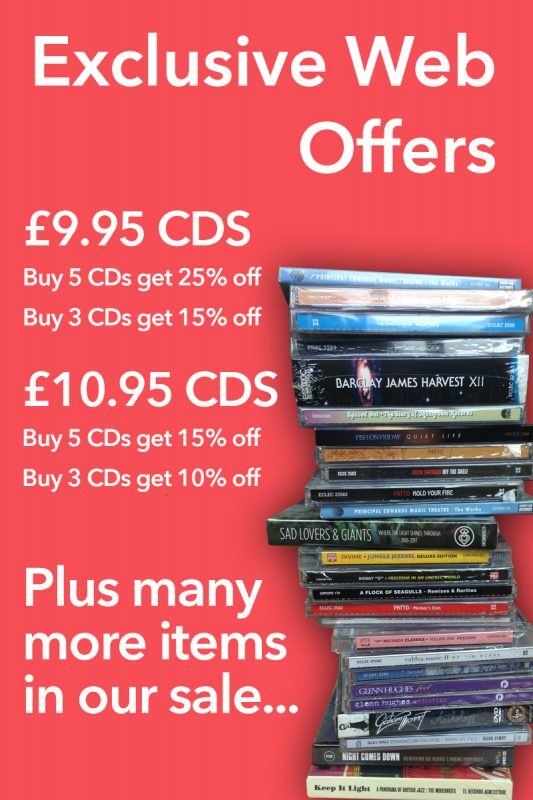 • This new package features new liner notes from Classic Rock’s Malcolm Dome and the audio has been edited and remastered to great effect by Fluid Mastering.